The LA Collection modular sectional features an architectural, cantilevered, solid maple base paired with smartly tailored upholstery. 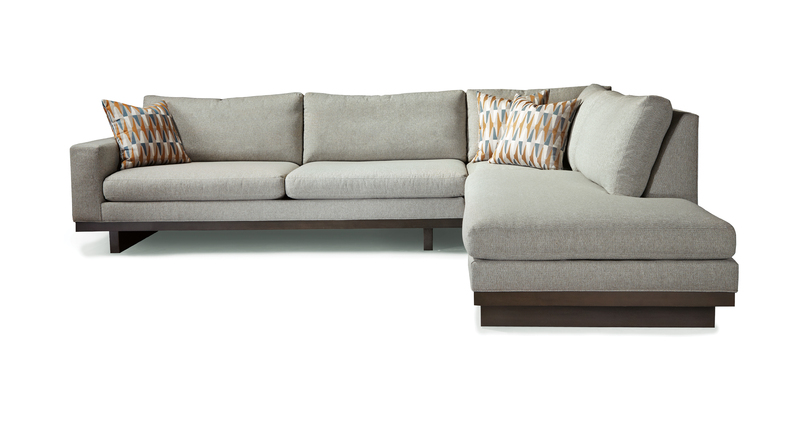 Customize your sectional by choosing from our three different modular units to create the perfect configuration. For upholstery select from any of our in-house curated fabrics and leathers. Choose any TC wood finish for base and legs. Legs and base available in any TC wood finish. Throw pillows optional.